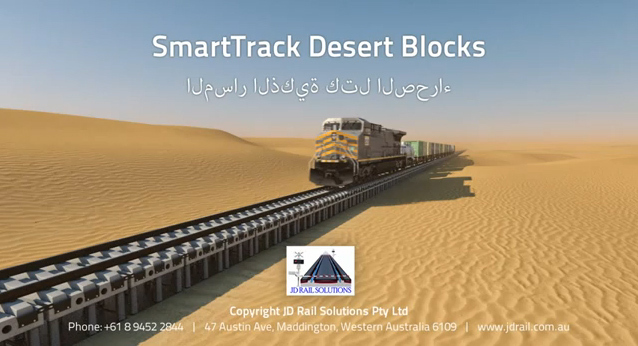 JD Rail Solutions has developed the innovative SmartTrack™ Desert Block system to cope with the harsh operating conditions that rail networks across deserts are subject to. SmartTrack™: Desert Blocks come already mounted on columns, and are designed to allow for natural sand movement – making the system easier to maintain, and with far reduced maintenance costs. وقد وضعت JD السكك الحديدية الحلول الذكية المسار بلوك الصحراء نظام ™ التي يمكن استخدامها في البيئات الصحراوية.